Back in October, I wrote about the controversy from some sectors that arose when the trailer for Star Wars: The Force Awakens appeared on Monday Night Football. With the distance of a few months, and upon recently watching the film again, I want to provide a possible way of looking at this film in regards to American literary history. 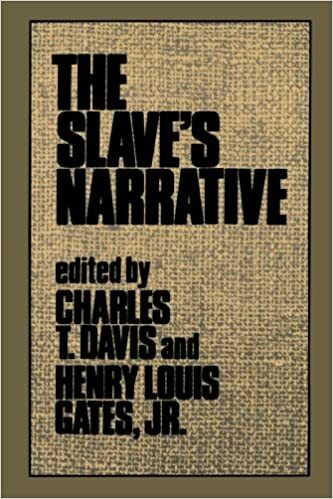 As I sat at home and rewatched Episode VII, I could not help but see similarities between the galactic narrative before me and the Antebellum slave narratives that appeared before the Civil War. Initially, I thought this reading was something that would not hold up; however, as the film progressed, I began to see more and more similarities between Finn’s (John Boyega) character arc and that of the writers and amanuensis of Antebellum slate narratives. I do not want to propose that this was the intention of the film, but I do think that this reading provides us an interesting lens through which we can view the film and an interesting way to get students, in the classroom, to see the characteristics of slave narratives. Other writers such as Hannibal Tabu, Joe Illidge, and Jamal Igle have written about Finn either being inept and neutered or him being the new Han Solo, a reluctant hero. Today, I want to explore the idea of Finn in relation to slave narratives like those written by Frederick Douglass, Harriet Jacobs, and others. What does this comparison say about the film? What does this comparison say about our current state as a nation? I’m not sure I’m ready to answer those questions yet, but I hope that the list of similarities that appear between the film and these narratives will at least spark a discussion that we can explore in more depth. When we first see FN-2187, he has a conflict of consciousness; rather than following orders and slaughter everyone in the village on Jakku, he refuses, drawing the attention of Kylo Ren and Captain Phasma. 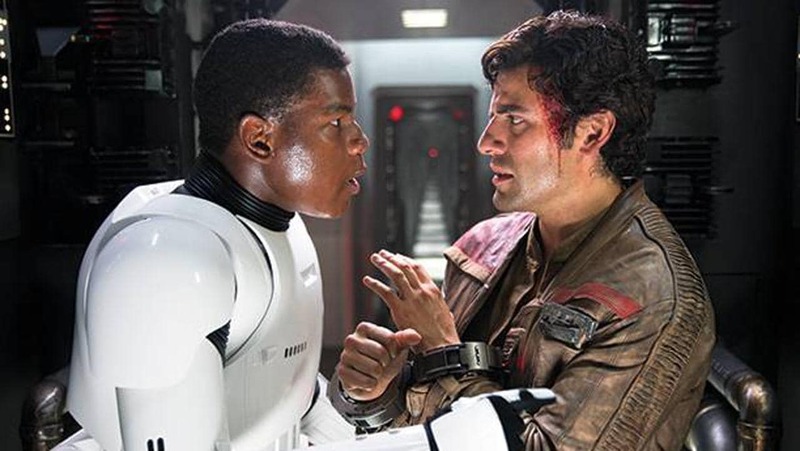 Because of this conflict, FN-2187 decides to run away from the First Order, and to do this, he enlists the help of Poe Dameron, a white, captured resistance fighter, to help him flee the order’s clutches. In and of itself, this does not appear to be anything worth reflecting on. FN-2187 cannot fly a vehicle, and he knows Poe can. Ok. However, once they escape in the vehicle, Poe inquires as to his accomplice’s name. The response is simply, “FN-2187.” Instead of calling him a number, Poe gives FN-2187 a name, Finn. This act of naming aligns with the tropes of the slave narrative that James Olney provides in “‘I Was Born’: Slave Narratives, Their Status as Autobiography and as Literature.” Olney notes that after escaping, the slave would take “a new last name (frequently one suggested by a white abolitionist) to accord with new social identity as a free man” (153). Finn becomes a free man once he escapes from the First Order, and he is free to choose whether or not he will join the resistance or just run away from everything. How did Finn get to the First Order in the first place? While the original storm troopers were clones, we learn that the troopers of the First Order are essentially slaves who were taken from their families at birth. In this way, the apparatus that keeps Finn and the other troopers in place is similar to a slave system that captured individuals and forced them to come to America to work not as free labors but as slaves. In this way, we do not know who Finn’s parents are. Maybe will find that out later, but as of The Force Awakens, that information is not clear. Again, this aspect matches with Olney’s characteristics of the slave narrative: “a sketchy account of parentage” (153). After getting separated from Poe when their vehicle crashes back on Jakku, Finn encounters Rey, a scavenger who has a droid that the First Order wants to retrieve. When the First Order arrives to try to capture the droid, Finn and Rey escape together. In this scene, Rey takes control, asserting herself as a stronger character, and leads Finn to safety. This type of reversal happens a lot throughout the movie. Finn wants to come across as strong and confident; however, he is far from it. His identity is not fully formed even though he has managed to leave the First Order behind. Poe, Rey, Han Solo, and other white characters become leaders, or to use an Antebellum term “Abolitionists,” who help Finn navigate the treacherous path to full freedom. These continual escapes from trouble (Jakku, Han Solo’s ship, Mas Canata’s tavern, etc.) serve as ways to move the narrative along in the movie, yes. They also mirror another aspect of Olney’s characterstics for slave narratives. These narratives provide “description[s] of patrols, of failed attempt(s) to escape, of pursuit by men and dogs” (153). While the creatures and characters may be different, these aspects remain. Ultimately, slave narratives conclude with a successful attempt of escape, which happens at the end of the film when Finn helps the resistance destroy the First Order’s Planet Starkiller. As I said earlier, the film does not fit point-for-point with Olney’s characteristics. Still, it matches a number of points that warrant a critical reading of the film along these lines, especially considering Boyega’s British-Nigerian ancestry. I do this because, as some have argued, we should look at Finn’s role in the new Star Wars film as 12 Years a Slave in space. By doing this, what does reading the narrative in this way say about not only the film but about our current state as a nation and world? As usual, let me know in the comments below. Olney,James. “I Was Born’: Slave Narratives, Their Status as Autobiography and as Literature.” The Slave’s Narrative. Eds. Charles T. Davis and Henry Louis Gates, Jr. Oxford: Oxford University Press, 1985. 148-175. ← Mold, Spores, and The Planetary South: Further Comments on "Adjust Your Maps: Manifestos from, for, and about United States Southern Studies"